People in Texas are tough. Real tough. They’ll stick with a fight till the end, and they won’t give up on a job until it’s done or until they are dead. Sometimes, they won’t even give up then! It’s a pretty well-known fact that there are tons of haunted attractions in Texas. Ghosts are common around here, because they’ll just stick around doing their Texas thang until they are good and ready to move on. The spirits who inhabit haunted attractions in Texas come from a wide variety of backgrounds and time periods. Some are denizens of the Wild West, for sure, but others date back much further. The specters of Indians who never met a settler are here, or people from times even more distant. There’s the odd cryptid in Texas, as well. Many of our modern-day tales of Bigfoot and other creatures originated in the American South, particularly Texas. The point is, whether you’re visiting the Lone Star State or already live here, keep an eye out. There are more souls and “other things” here than you could possibly imagine. Some of them are pretty weird. All of them are pretty creepy. And some of them might get pretty angry if they thought you were bothering them. 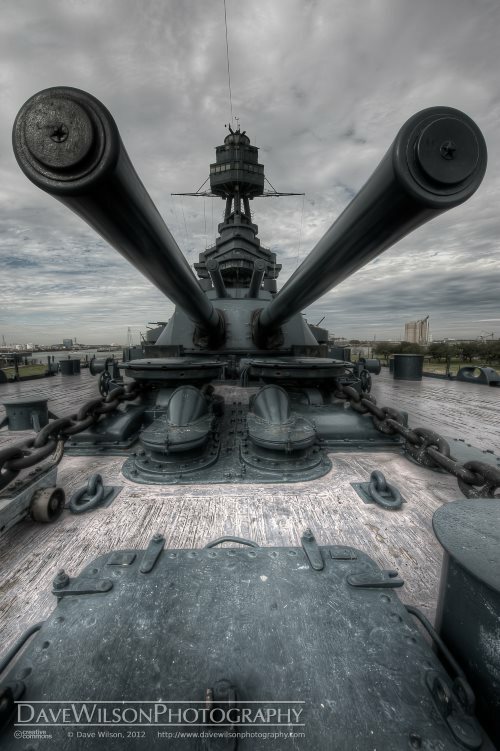 Military sites are often haunted attractions in Texas, and the USS Texas is no exception. Permanently moored here as a museum and memorial, there’s a World War II sailor who still performs his duties aboard the ship. He’s well-known to the staff and some visitors. They call him Red, and he is clearly wearing a WW2-era Navy uniform. He’s thought to be the ghost of the only crewman who died during the Texas’ deployment. He seems quite aware and friendly, and he’ll sometimes salute or greet those he encounters. Right before he walks through a wall. This bona fide castle was built on Lake Worth almost 100 years ago. It’s a fairy tale place with stone towers and sprawling grounds. It’s also full of ghosts, of course. 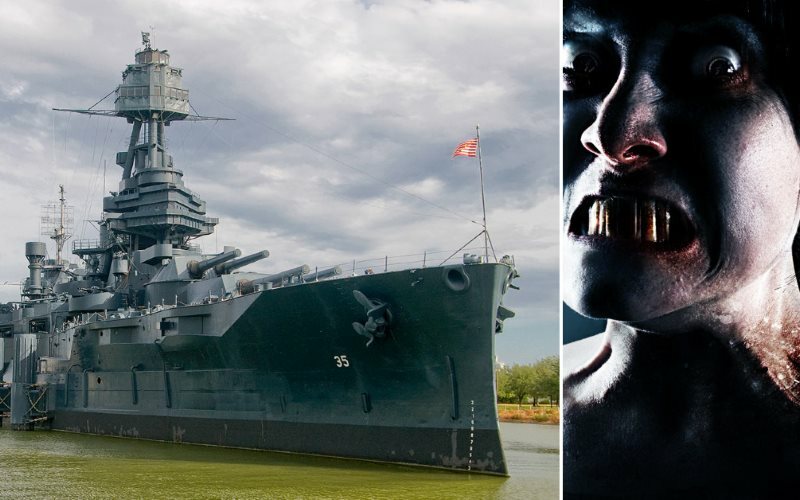 As one of the most haunted attractions in Texas, it’s been home to movie stars and millionaires over its long history. Nobody stayed for long, due to the ghost of a murdered bride who drowned on her wedding day. She appears to overnight guests, bloated and blue as she is in death, and begs them for a kiss. The castle is private property, and should not be visited without express permission of the owners. 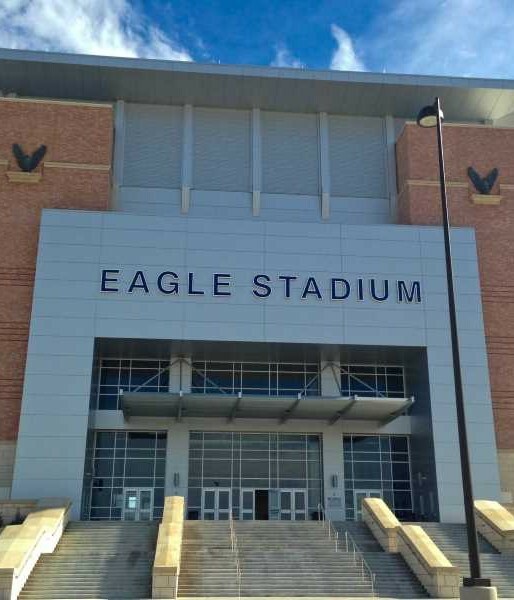 This high school football stadium was closed for several years due to mysterious safety issues, and has only recently reopened. They may or may not have solved the little ghost problem here, but it’s certainly still amongst the haunted attractions in Texas. A football player died here over 70 years ago. He manifests on Friday nights, reenacting his greatest games. Spectators have seen him running in the sidelines after a game and wondered who he is. The clearest sightings of the ghost occur at midnight, when he solidifies and runs back and forth over the field itself. Now that the stadium is opened, it’s not recommended to visit after hours without express permission. 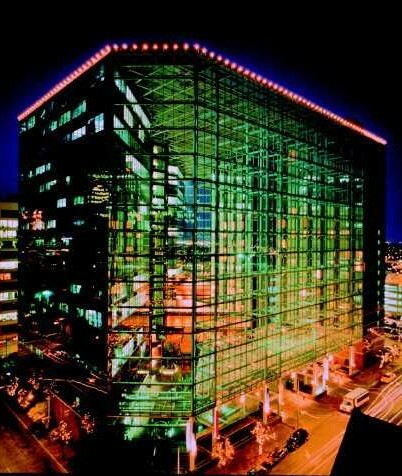 This swanky hotel in downtown Austin is close to everything, but it’s also home to its own haunted attractions in Texas. A guest here on a business trip some years ago apparently heard some bad news. He leapt off the balcony to his death. He never paid his bill, having become a stain on the concrete, and so he’s still on the books with an open balance. That debt may be what keeps him here, and night maids have heard him shuffling around in his room when it’s not occupied. Occasionally, a particularly unlucky maid will feel a strange urge to jump out the window herself. There’s a bookworm of a ghost in this library. He’s possibly reading about all the haunted attractions in Texas, even though he is one himself. Maintenance workers cleaning late at night, and even some visitors during the day, have heard him rustling pages. Calling out too loudly will make him very, very angry indeed. More than one cleaner had a book thrown at them with such force as to knock a shelf over. Various psychic anomalies have been witnessed around the property. Driving by late at night, you might see the lights in the windows turning on and off as the ghost moves down the stacks. You’ll see them even when the place is completely unoccupied. 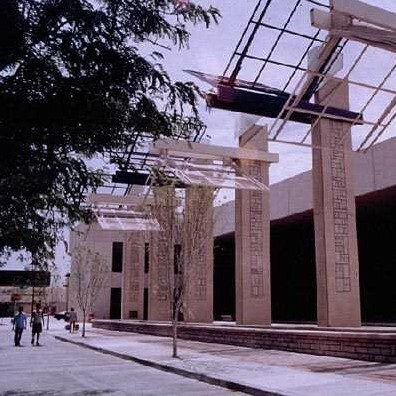 The museum was moved from Montana Street to downtown some years ago. In its old location, the museum was renowned as one of the most haunted attractions in Texas, and some say that building still is. The focus of paranormal activity was on the ghost of an old woman who would stare out from the windows. It’s said that if she fixes her gaze on you for too long, you will die a horrible death that year. Lights frequently turned on and off by themselves, and one museum visitor reported all the doors slamming shut while they were in a gallery. The visitor didn’t talk about what she saw while she was locked in there alone. But she never came back to the museum again. 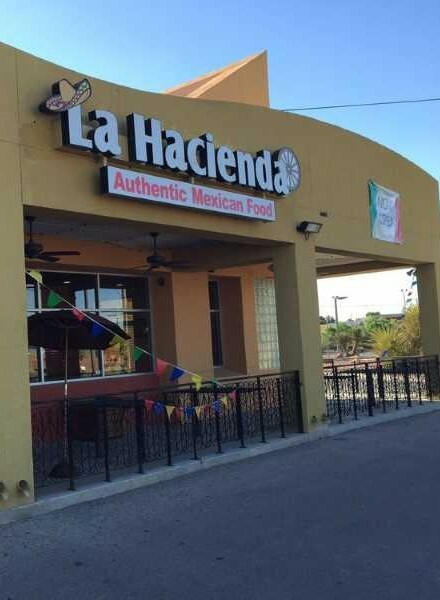 Quite well known for its haunted attractions in Texas as well as its fine Mexican fare, La Hacienda is inhabited by a manifestation of La Llorona. La Llorona moves from place to place, and may be a conglomeration of many women who died in similar circumstances. Her children drowned in a nearby river, and she killed herself in her grief. She’s not dangerous unless, and this is a big “unless”, you are unkind to children. If she detects this in your soul, then she will take out all her rage and frustration on you in revenge for the fate of her own family. Such people never survive her ire. It’s said that by the end, they no longer want to. They beg for the release of death. 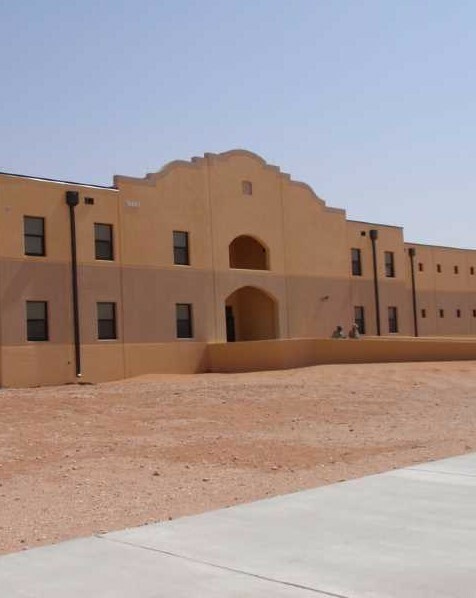 Ghost hunters love Fort Bliss. They consider it a great time, one of the best haunted attractions in Texas. It’s an army fort, open to the public, and very, very haunted. In the restaurant and bar called Tumbleweed Tavern, the ghosts center around the old stage. Late at night, it’s said that the spirits of musicians and actors who performed there and have since died may appear. Disturbingly, they appear as they do now, as rotting corpses, not as they did in life when they actually performed. Seeing them, some say, will haunt your nightmares for years after. The only way to stop them is to return to the stage and again face the ghosts in the waking world. Not exactly one of the haunted attractions in Texas, this scenic creek still belongs on the list. There’s a cryptid here. A weird one. He’s a “chicken man”. Nobody knows exactly what he is, but he was reported many times back in the 60s and 70s. He hasn’t been seen lately, which many take to mean he was a lone survivor of his kind and has passed away. Recently, though, there have been strange sounds. Very loud cracks and smashes, as though entire trees are being torn down by something with a ferocious rage. 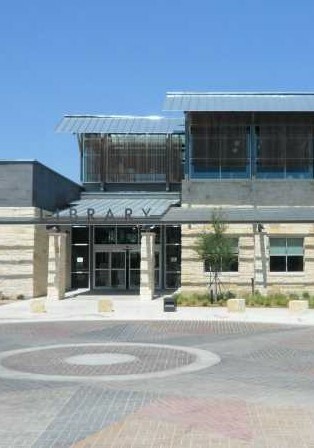 If you visit here, be careful and be ready to run. 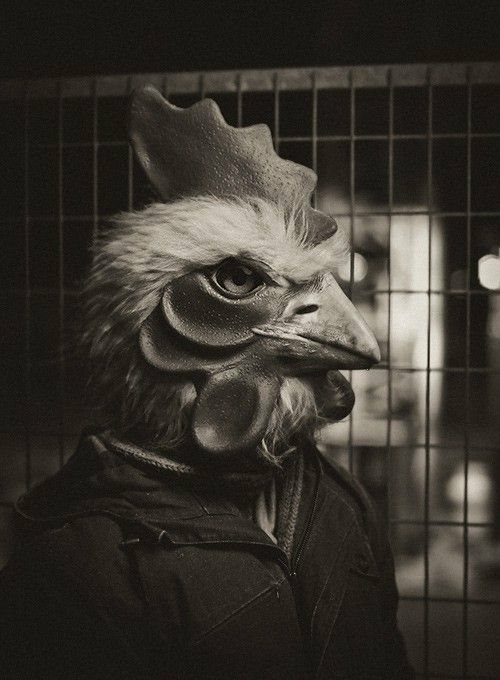 This chicken isn’t something to mess with. 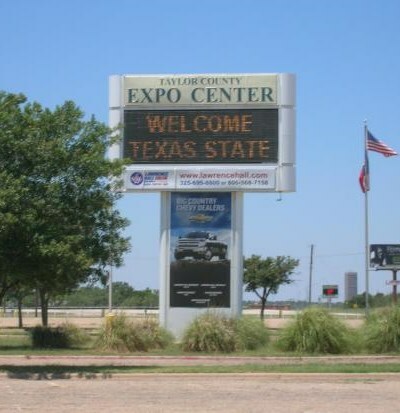 This old standby for fairs and festivals is also one of the most haunted attractions in Texas. The spectral activity here is centered around the old cow barn. Visitors to the barn late at night have heard footsteps and voices, and seen much worse. One couple, a little tipsy and wandering around lost during a fair, were spooked sober when they walked into the barn. They screamed in horror as the shadows resolved into severed heads of people and animals, dripping blood. One by one, the heads turned towards them and began to scream. And then, in an instant, they were gone. Everything was back to normal. Other than the fresh stain on the man’s pants. Have you visited any of these Texas haunted attractions? What paranormal activity have you experienced there? Tell us in the comments below and share this with your friends. Click the Share button below.